When you began writing this series, did you realize you’d be writing about so many women or did you discover them while researching? I actually didn’t set out to write a series – I just wrote the story of the Mailly Nesle sisters (from The Sisters of Versailles) and wasn’t even considering Louis XV’s later mistresses, as I assumed Madame de Pompadour and the Comtesse du Barry would have had a lot of fiction written about them. When I discovered that that wasn’t the case, it was a definite opportunity and “The Mistresses of Versailles” trilogy was born! Which book in the series is your favorite (if any)? Also, do you have a favorite character? The Sisters of Versailles will always have a special place in my heart because it was my first novel and I just loved jumping into the crazy world of 18th century Versailles with them. On the other hand, I enjoyed writing and developing The Enemies of Versailles most – I had no problems figuring out the structure or how I wanted their story told, and it was a breeze to write. I think Jeanne du Barry was easily my favorite character – I think she was genuinely such a kindhearted, sweet person. Madame Adélaïde is the only protagonist in the series who is not one of Louis XV’s lovers. Why was she chosen for this role in The Enemies of Versailles, instead of perhaps Marie Antoinette? I never considered Marie Antoinette as a protagonist – I think she’s been written about a LOT and part of the appeal for me of, say, the Nesle sisters or Madame Adelaide was that they haven’t been written about and their stories are much more obscure. Adelaide certainly wasn’t a lover of Louis XV but she did love him, so in a sense she does fit with the theme of the trilogy. 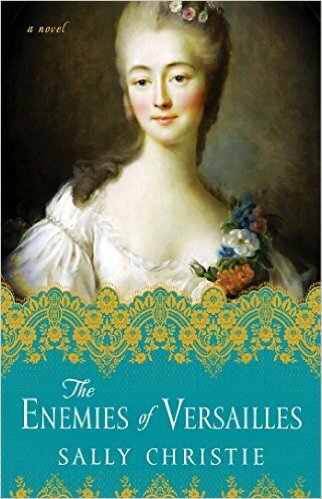 Another contender for the second POV in Enemies was Beatrice de Gramont, who figures briefly in both Rivals and Enemies. I’m glad I didn’t choose her though – Adelaide was much more interesting and fun to write! Why do you think Madame du Barry put her life in danger during the Revolution? If Madame Adélaïde had not fled the country, do you think she would have met the same end? Jeanne du Barry made such a bad decision to return to France during the Revolution: it’s so sad to think that she could have saved herself by just staying in England for a few years. I think that her low birth genuinely made her believe she would be immune to the dangers, and she was one of those people who was pretty much able to charm everyone she met (say apart from Marie Antoinette and Madame Adelaide! ), and so I think the idea that someone might want her harm was just impossible for her to imagine. I’m not sure if Mesdames would have been guillotined during the Revolution – it’s highly possible, of course, but the Revolution did spare, for example, Marie Antoinette’s oldest daughter. Who are the “Enemies” of Versailles—Du Barry versus Madame Adélaïde, each of these versus Marie Antoinette, or perhaps the people, who are bent on dismantling the government? The enemies in my mind when I was writing the book were definitely Du Barry vs. Madame Adelaide, as well as Du Barry vs. Marie Antoinette and also (under the guise of being helpful) Madame Adelaide vs. Marie Antoinette. So a triumvirate of enemies, if you will! It’s a bit embarrassing to admit, but I never actually thought about the people or the revolution as being an “enemy” of Versailles, but several readers have suggested that idea and it fits really well. 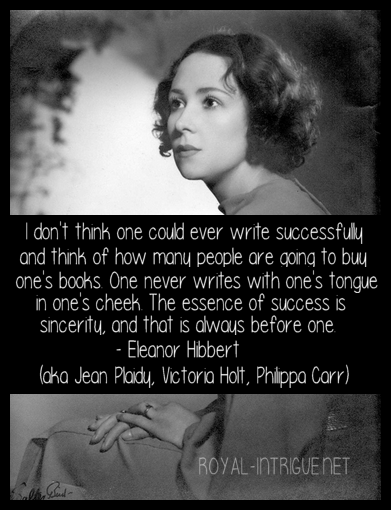 Are you working on another historical novel or series? I did start working on another novel set partially at Versailles and based on the life of Elisabeth Vigee le Brun, a very talented painter who was Marie Antoinette’s favorite portraitist. She led a really interesting life but unfortunately I didn’t get on very well with it – I think for the moment I am a bit burned out on Versailles! I’m currently working on a novel set in the colony of Saint Domingue (current day Haiti), but also in the 18th century. “In the final installment of Sally Christie’s “tantalizing” (New York Daily News) Mistresses of Versailles trilogy, Jeanne Becu, a woman of astounding beauty but humble birth, works her way from the grimy back streets of Paris to the palace of Versailles, where the aging King Louis XV has become a jaded and bitter old philanderer. Jeanne bursts into his life and, as the Comtesse du Barry, quickly becomes his official mistress.